Berenz Packaging Corporation offers a number of packaging products, all at high quality, competitive prices, and "same day" manufacturing. Also known as a Regular Slotted Carton, this is the most commonly produced box at BERENZ. All flaps have the same length and the two outer flaps (normally the lengthwise flaps) are one-half the containers width, so that they meet at the center of the box when folded. This is a highly efficient design for many applications and there is very little manufacturing waste. BERENZ RSCs can be printed in as many as 4 colors. A half-slotted container is a variation of the RSC without one set of flaps. HSCs can be printed in as many as 4 colors. The Full overlap slotted container has flaps which are all the same length and are also equal to the width of the box. This style is very resistant to rough handling. We can print up to 4 colors on this style box. In an overlap slotted container, the outer flaps extend partially across the width. This style is used to enhance the cushioning effect top and bottom. This is an open-ended style that allows packaging to surround the item being packed with no top or bottom flaps. This is a flat scored and slotted sheet that when folded, forms a tray to carry products. Two scored and slotted trays are made to fit inside one another to package items when depth is an issue and the item needs corner protection. One piece folders are often referred to as "book folders" or "iron cross mailers". Products packed this way include printed matter, electrical circuitry and of course books. A die cut box has a unique design that requires angular, circular, or other unusual cuts, slots, and scores. 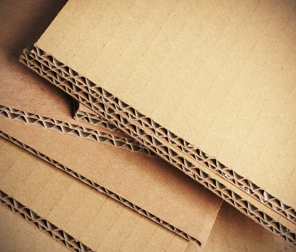 Die cut boxes may also feature perforated lines, ventilation holes, or access holes. BERENZ's die cut boxes can be printed in up to 4 colors. Displays are usually thought of as any type of packaging that is used for retail or visual marketing. At Berenz we produce everything from counter to floor displays with printing availability up to four colors. Our design department has the latest in technology so that ideas can be developed creatively and efficiently. Pads, partitions, and inner packaging pieces are used to separate, cushion, suspend and fill irregular spaces within a container. At our facility we produce these with and without tooling. 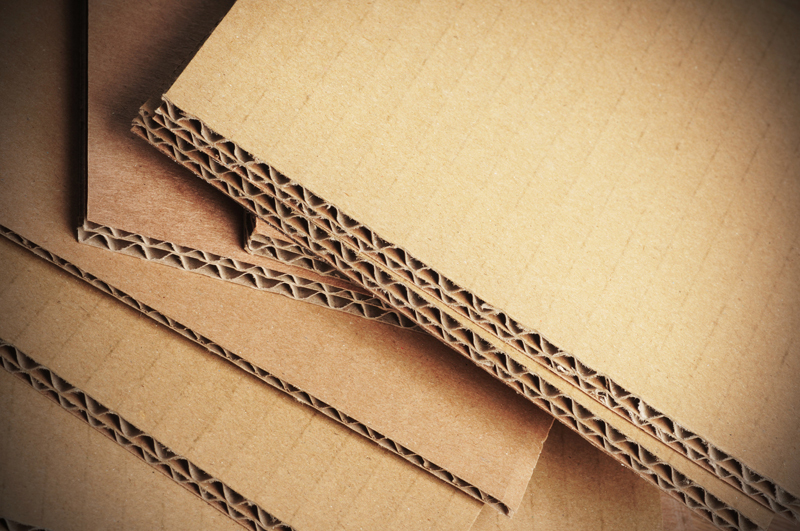 The inventors of corrugated board applied the same principles to paper as ancient architects did to buildings. When trying to uphold heavy loads, the most efficient way is by using an arch. Generally the larger flute profiles give greater vertical strength and cushioning. The smaller flutes help enhance graphic capabilities while providing greater structural integrity. By experimenting with flute profiles, designers can vary compression strength, Cushioning strength and thickness. Flutes come in several standard sizes such as A, B, C, E, and F. We currently convert all the above flutes in our facility. Different flute profiles can be combined in one piece of combined board. For instance, our double wall board uses a B-C flute combination.